Formed by members of the Britten Sinfonia, the Britten Oboe Quartet makes its debut on disc with a collection dedicated to the memory of Janet Craxton, who died in 1981, at the age of 52. She was a prominent figure in British contemporary music in the 60s and 70s and one of the founding members of the London Sinfonietta. She was also a distinguished teacher whose pupils included the quartet’s oboist, Nicholas Daniel. Two of the works on the album were written especially for Craxton. Oliver Knussen’s 1977 Cantata for oboe and strings is one of the most striking and enduring of his early works, characteristically packing a vast amount of intricate instrumental detail into less than a quarter of an hour. The title refers not only to the singing nature of the oboe lines, which are frequently suspended over rocking string chords or hyperactive scurryings, but also to the form of the work itself, in which recitative sections punctuate the more lyrical episodes. Stylistically, Cantata is worlds away from Jean Françaix’s Quartet for Cor Anglais, Violin, Viola and Cello, which he composed at Craxton’s request in 1970. There is something insistently likable about Françaix’s very French brand of neoclassicism, which is almost like latter-day Chabrier in its good humour and panache. It is music that never takes itself too seriously, although that doesn’t mean it is easy to play; the interplay between the oboe’s lower-pitched sibling and the three strings is hard to bring off as deftly as Daniel and his colleagues manage it. Alongside these are the two staples of the oboe quartet repertory, Mozart’s Oboe Quartet K370 and Britten’s Phantasy Quartet Op 2. 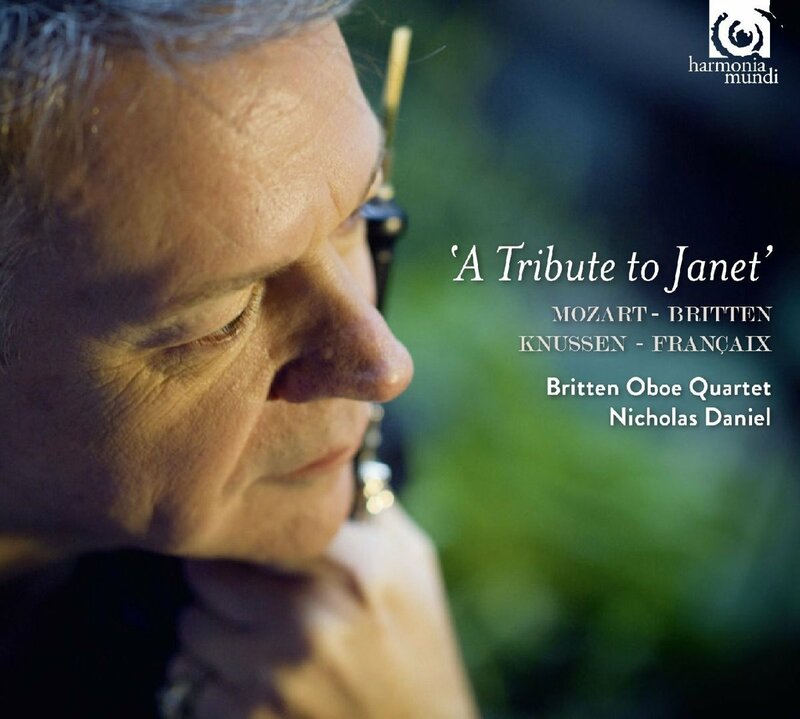 The quartet give a wonderfully relaxed and refined account of the Mozart and a strikingly mysterious one of the Britten, which rethinks radically the “phantasy form” and the sound world of the oboe quartet. Between the two, Daniel inserts his own completion of a Mozart fragment, Adagio K580a, which was probably intended for cor anglais and strings, and the opening theme of which was recycled for the motet Ave Verum Corpus. In this version, it becomes a perfect encore piece.